Guest artists came from Arkansas, Missouri, Oklahoma and points around the compass. Our booth featured Wizard and Fairie staves, Coifs, Flat caps, Staff accessories and Fabulous Hand Made Dolls. an event held annually at Lendonwood gardens in Grove, Oklahoma. We may be there again this year. We will not have the pleasure of our favorite Guest Artists Destiny West and Dennison Lillie as they have finished college and MOVED ON TO MUCH GREATER THINGS! The M.A.D. 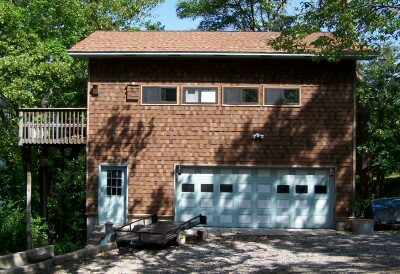 House Artists is proud to announce completion of a project under the auspices of AIM Hatchfund! 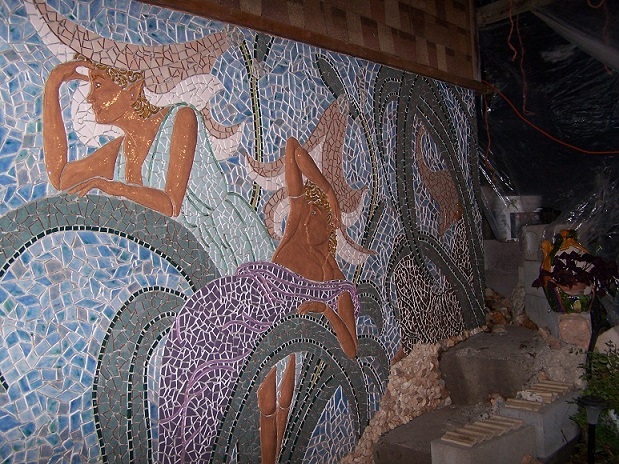 Candace mounted this large scale mosaic. The public is welcome to come see the outdoor work. 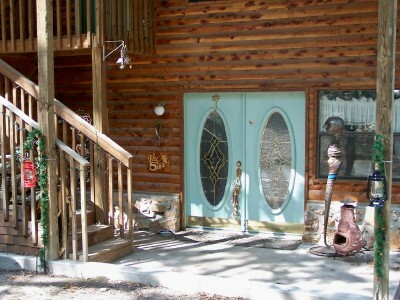 Give us a call so we can make you feel welcome! Thanks to all of the generous donors who have placed their dollars with their confidence in our project. 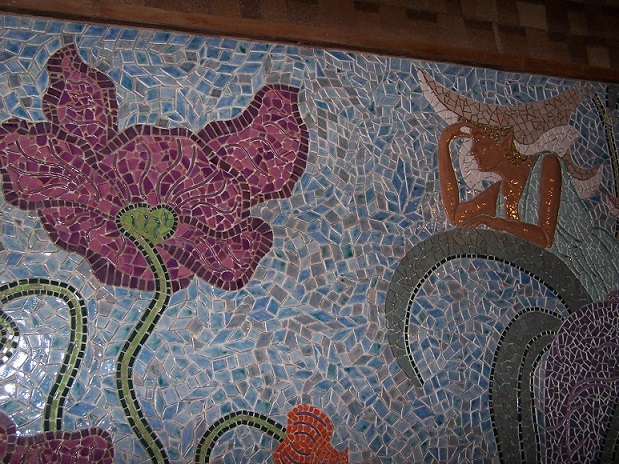 The hand made background tiles are looking wonderful. The giant Art Nouveau flowers are standing tall and stately, the elves are on duty and the pixie - the PIXIE? The pixie and three elves are on the wall and we enjoyed a wonderful opening. October 10th, 2014 was rainy but fun. The M.A.D. House Artists do Art in the Garden !! Come visit us at the home base, The M.A.D. House Artists, where our books and art all are offered for sale. Come and browse the art, the books, the grounds and perhaps dance with us as well. Always something at The Grand Lake Artistic Chaos Foundation. Bhangra! ( & other ethnic aerobics) Monday & Friday 3:30 P.M. Breathing & Pilates floor work Wednesdays 3:30 P.M. Please call to verify the week's schedule. In The M.A.D. House Artists Dance Studio. Monday and Friday all-out Bhangra, Wednesday breathing and floorwork. We have a great time. If you can climb the stairs to the studio, you can make it through the class. When we get tired of Bhangra, we work in some Israeli, Greek and English folk dances just for fun. With a pinch of ballet and modern dance for technique and safety. Check in for the times and dates of our next dances. The United States Postal Service has quite a hold on Dad's schedule, so our opportunities have been scarce this past year. Stay tuned! and the Costume Shop will be in FULL SWING! from the cool comfort of your own computer. Tuesday Art Workshop 10:00 A.M. to 2:00 P.M.
Everything from Leather Carving and Loom beading to constructs from recycled and reclaimed objects. 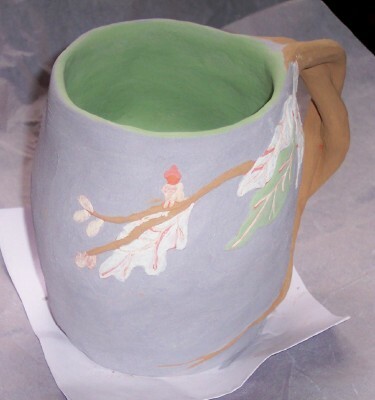 With the new kiln our ceramics have become a great new area of exploration. 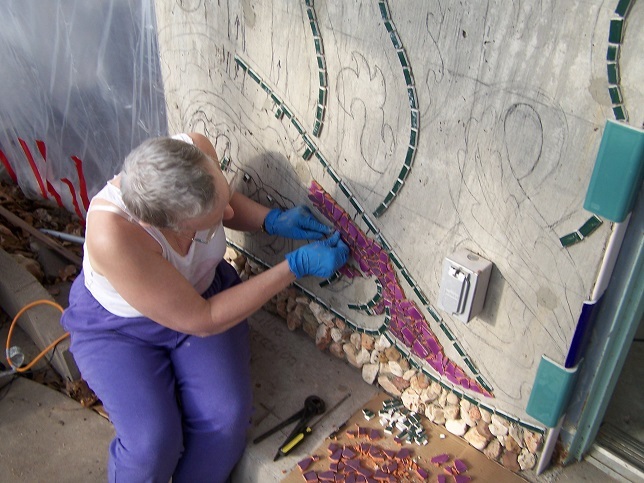 While Candace makes tiles for the mosaic wall, you can create your own new idea in clay. 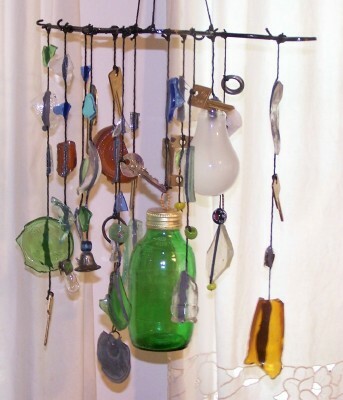 The "Dangerous Art" Wind Chime above is made from the glass found right here on the beach of Grand Lake of the Cherokees in the rocks along the shoreline behind The M.A.D. House Artists. Tuesdays in The Sun Room, 10:00 A.M. to 2:00 P.M.
$5 for materials, bring a sack lunch or take your chances with us. We try to never send you away hungry. Besides the wind chimes from beach glass and detritus (Dad calls them 'dangerous art'), workshops are in collage and recycle art and Mom is also working on the ever needed bug traps, bird houses and bird feeders. and just join us for the comaraderie! Throughout the year ART WORKSHOPS include Mixed Media Collage and Acrylic, Pencil Drawing, Construction Art and Clay. WE LOVE OUR NEW KILN! 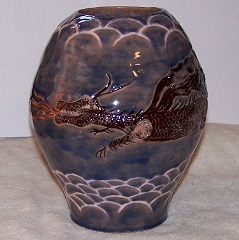 your own finished work of ceramic art. Art For Sale at The M.A.D. House Artists. 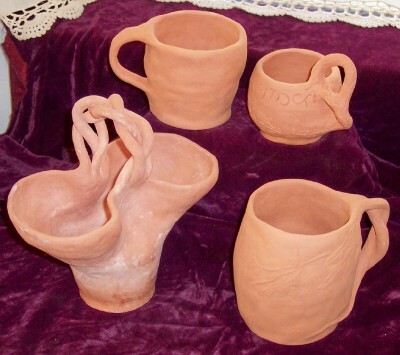 Art workshops focus on 'Detritus' (That is whatever washes up on the beach) and found objects to be used in Wind Chimes or Collage, Mom has moistened the Clay, anyone wishing to work in Clay is welcome to join Mom any Tuesday morning to get their hands dirty and make something beautiful. Mom is feeling particularly inspired these days. Year-round we are making Bird Feeders and Bird Houses from just about anything we find lying about, no charge for materials on those. C'mon over! 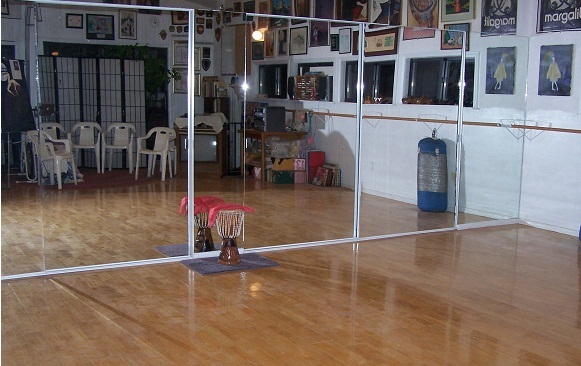 Dance, breathing and stretching classes in The M.A.D. House Artists' dance studio, Saturday Mornings at 11:00. Private Ethnic Dance, Modern Dance, Ballet Classes available upon request. Dad reads for us from his choice of books. As Dad tends to lean towards the Fantasy genre, which is delightful, we call this event The Shire in honor of some of our favorite fantasy books. Halloween will be particularly special as Dad reads to us as we carve our pumpkins and in the darkest hours after the Dance. Dad's renditions of Edgar Allen Poe are like no others. An event worth driving a few miles to enjoy! 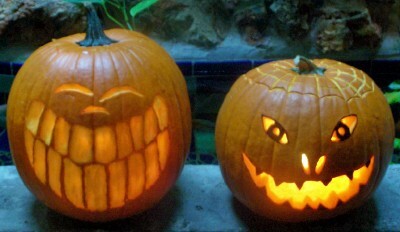 Join us on Halloween for our annual OCTOBER PUMPKIN CARVING! and dance the Danse macabre! 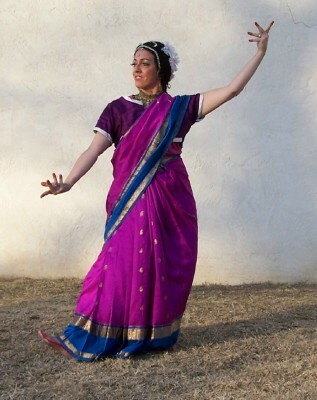 In our dance studio we have monthly public dances on one weekend each month; everything from Classical East Indian Dance to English Country Dance. If you do not know the steps, we will be glad to teach you, and the others who come are friendly and helpful as well. Sometimes we pick a new dance and learn it together. 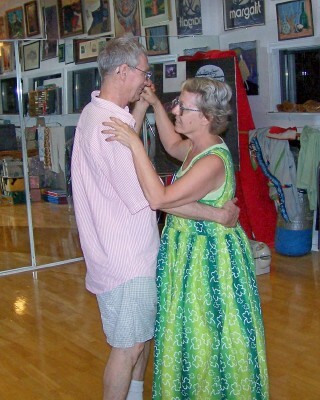 Exercise, breathing and stretching, along with dance for enjoyment. Mom has studied with Bhaskar, Mary Anthony (and quite a respectable number of others including the original Pilates Gym) in New York. Mary Anthony taught an extraction of Yoga, Pilates, and Humphry/Weideman-Graham modern dance. Mary's breathing and floor class was wonderful, and Mom has been able to remember enough of the wealth of knowledge Mary Anthony imparted to her classes to do us a lot of good. This class will help your upper back, your lower back, your joint flexibility, abdominal strength, your FEET and just plain leave a good feeling all over. After about an hour of the relaxation, breathing and stretching on the floor, we put on some fast music and work on aerobic goals with a combination of Kung Fu and Thai Boxing Mom learned from Master Baptiste, a Trinidadian Martial Arts style that really gets you going. But don't worry! If Mom could not do the exercises with a bad back and advancing age, Mom would not be teaching it...You'll be fine! 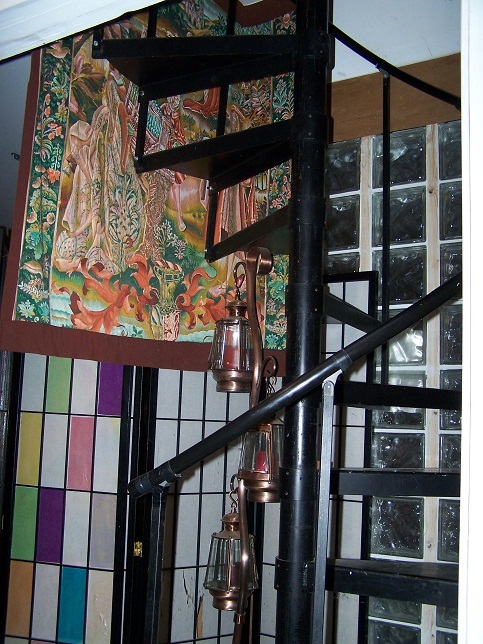 If you can climb the spiral stairs to the studio, the worst is behind you. Mom's schedule is flexible, and she would be happy to schedule private midweek classes as the demand arises. Give us a shout, and we will try to accommodate your needs. 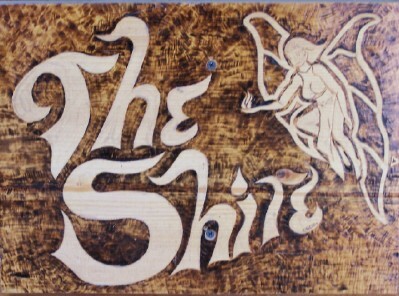 Every Tuesday 10:00 A.M. to 2:00 P.M.
Also at the Shire, Downstairs in the Sun Room. 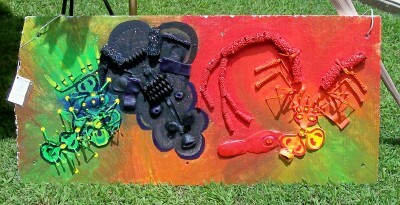 Tuesday morning and early afternoon are set aside for painting and sculpting in an Art Workshop with Mom. 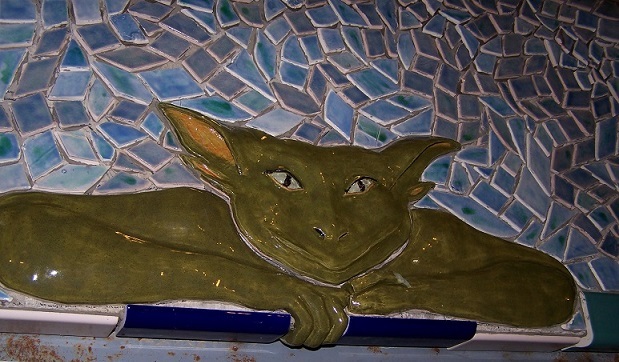 The possibilities have been expanded exponentially since the Mosaic Project allowed the acquisition of our OWN kiln! There is always an ongoing project, a new technique, or just time together to work on your own ideas. Bring a sack lunch, and Mom can provide supplies for a small fee. When searching for a phrase to describe all the activities and disciplines represented just between the four of us, our son suggested a description that represented "participants in the arts," and "almost random." His spontaneous suggestion was so exactly right we adopted it at once, though we are not incorporated as a foundation. We immediately became The Grand Lake Artistic Chaos Foundation, and so we remain.